The project at Church Lane Cottage is a new addition to an existing Grade II Listed building, within a Conservation Area in the North York Moors National Park. Any new architectural intervention into this historic context needs to be carried out with due consideration to the impact it will have upon the setting of the Listed building, and the Conservation Area. 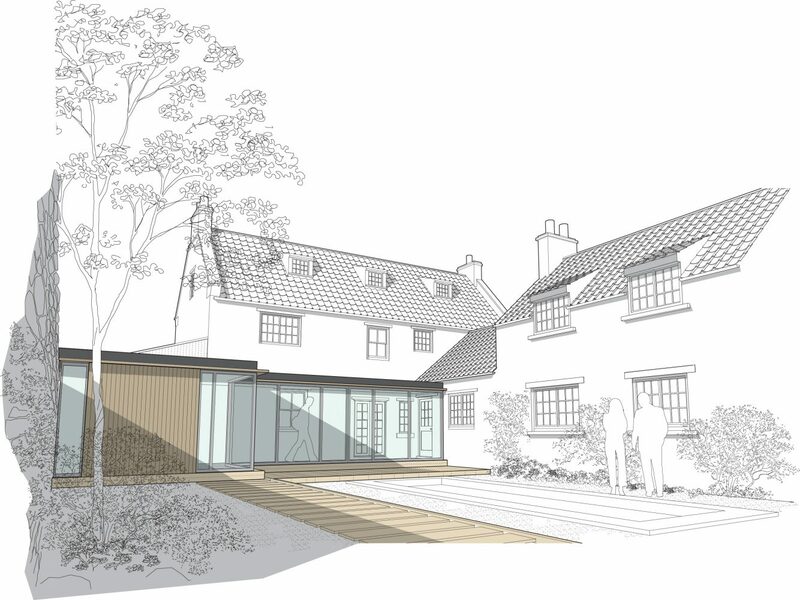 The design process for the project commenced with a review of how the client’s functional requirements for the extension could be achieved using traditional and vernacular building forms. 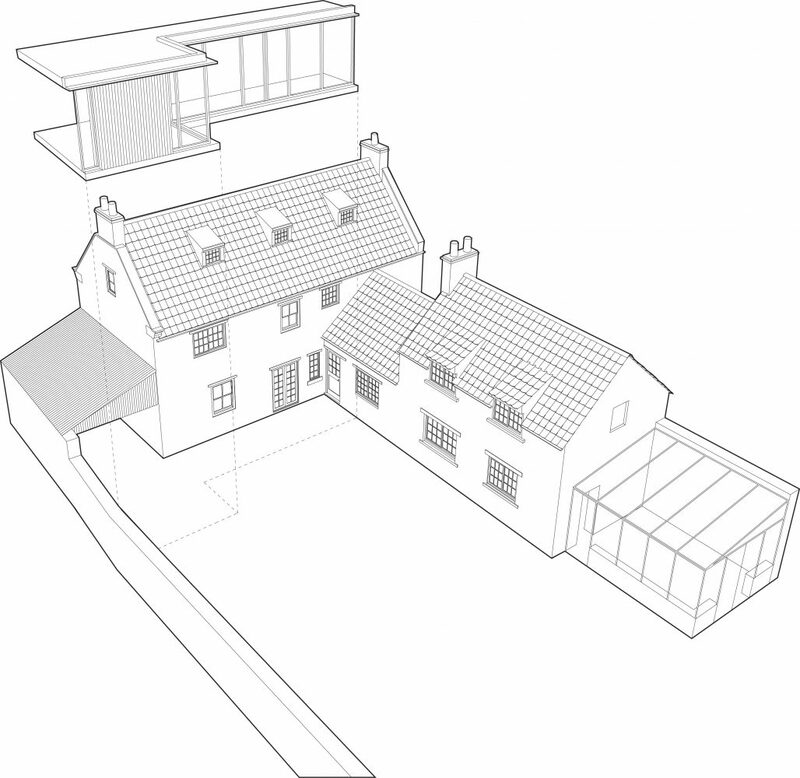 All of these options were considered to have a detrimental impact upon the setting of the existing cottage. As such the low rise, contemporary design proposal is intended to reduce the visual impact of a new building upon the heritage assets, whilst creating an interesting architectural juxtaposition and dialogue between that which is old, and that which is new.